We offer many different cleaning services in the Charlotte area to meet your needs. At Fiv5 Star Cleaning, we know that cleaning your home can be a major undertaking. So, why not let us handle the details, so you can focus on other more important things? We offer many different cleaning services in the Charlotte, North Carolina area to meet your needs. Residential Cleaning – Our maids have experience cleaning all types of residences from small condos to luxury homes in the Charlotte area. We are happy to tailor your residential cleaning services to meet your needs. Move In/Out Cleaning – Whether you are moving in or out of your Charlotte area residence, we can assist you with all your house cleaning needs to make your life easier. 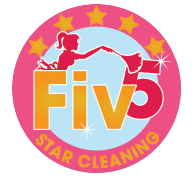 Seasonal Cleaning – Seasonal cleaning with Fiv5 Star Cleaning is a great way to make your home feel fresh and new throughout the year. Ask us about tailoring a recurring plan to meet your needs. Deep Cleaning – To keep a home in top condition and organized, we recommend a deep cleaning once or twice a year. 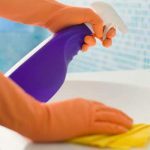 Our deep cleaning service includes all the items included in a recurrent cleaning service, as well as getting to those extra areas that need some attention. Special Events – When you’re having a special event, whether it’s at your home or another venue, knowing that you’ll make a great first impression is important. Our trained professionals can help you tackle this task, so you can focus on hosting your guests. Contact us at Fiv5 Star Cleaning today if you have any questions about our cleaning services or would like to schedule an estimate. You’ll see why we offer Charlotte’s BEST House Cleaning Services! 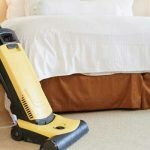 At Fiv5 Star Cleaning, we offer cleaning services in Charlotte, Concord, Cornelius, Gastonia, and Mooresville, North Carolina, as well as Rock Hill, South Carolina.